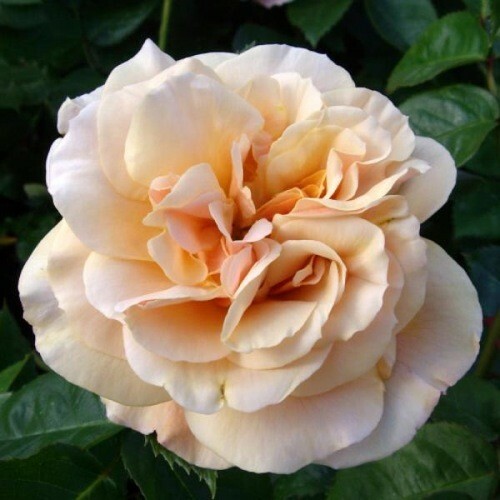 A rose that has good strong growth with flowers that are of a rich soft ivory buff apricot colour. These are carried in abundance throughout summer against mid-green foliage on well branched bushes. It is ideal for mixing in beds and borders with shrubs or used in a solitary planting, perhaps even mixed with other rose varieties in a bed. As an added bonus, this Rose has a sweet spicy fragrance. Supplied in approx 5 litre containers.